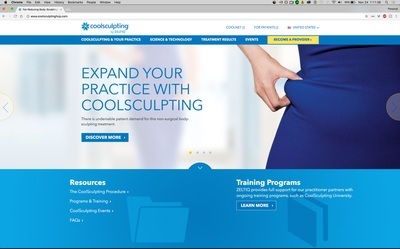 I had the opportunity to work with the team at ZELTIQ to provide website design for CoolSculpting. 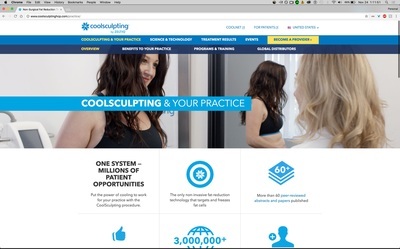 I provided a variety of services in the design of this website. Built with Umbraco in mind, we were able to make the content editable through a CMS. I provided original design work, QA, and UX customer mapping while building out the site. The site is built on HTML5, customized CSS + JS. The website is responsive on all screens, from mobile to tablet to desktop. 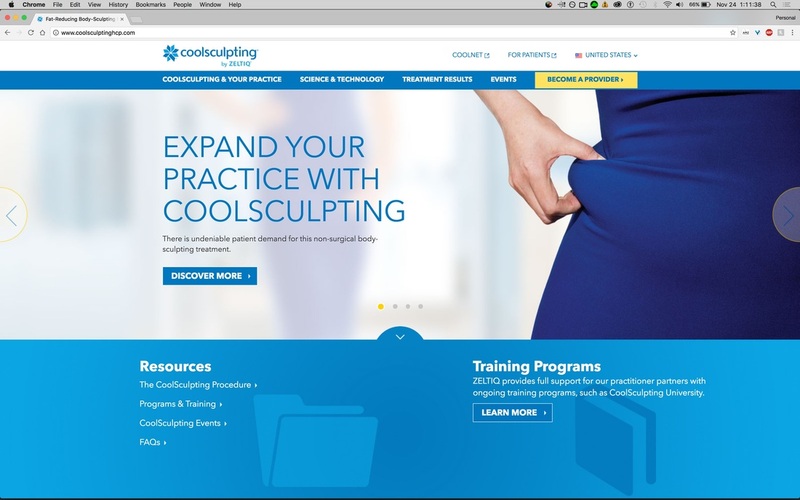 In addition to CoolSculpting.com (CoolSculpting's consumer-focused sit), I also worked on the design for CoolSculptingHCP.com. 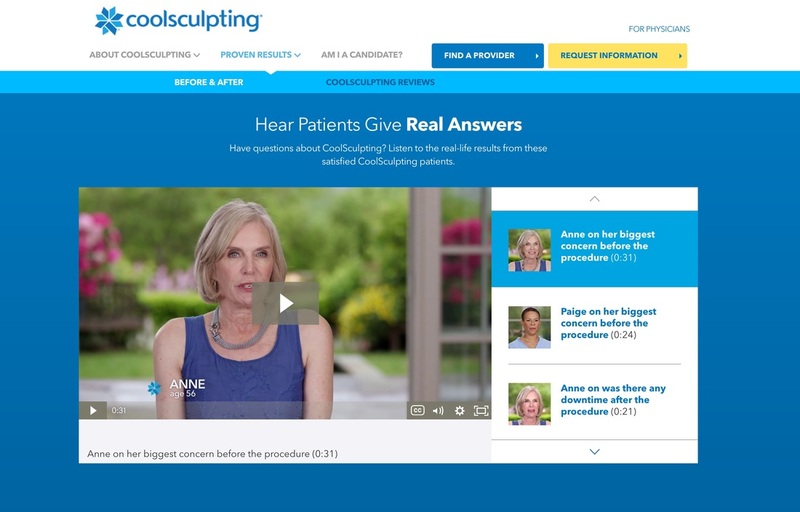 After the site redesign in early 2016, and an aggressive ad campaign, the site's traffic rose from 20-30K visits per month to over 400K-500K per month.